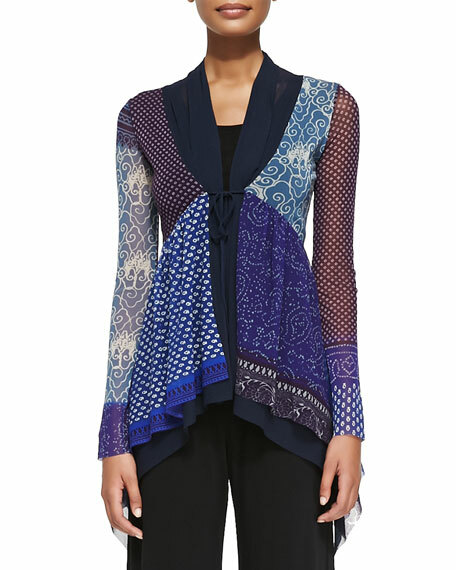 Jean Paul Gaultier printed tulle patchwork cardigan. 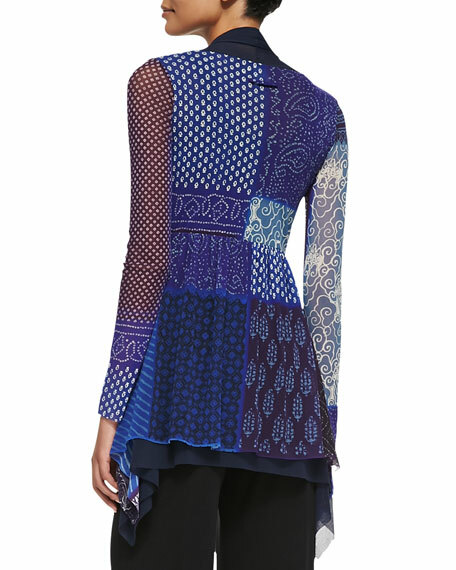 French designer Jean Paul Gaultier started his career in 1970 as an assistant at Pierre Cardin. In 1976, he launched his label with a style that drew more from the London street scene than Parisian couture. In addition to his men's and women's ready-to-wear lines, and the haute couture line he launched in 1997, Jean Paul Gaultier offers a collection of provocative fragrances in distinctive bottles that are every bit as avant garde as the designer's clothes. For in-store inquiries, use sku #248923.